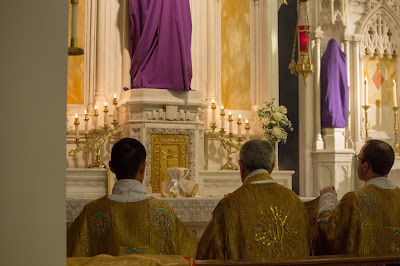 Our photopost requests are almost always met with such a generous response that it would be impossible to decide on merit which among many beautiful images ought to go first; for this reason, I normally publish them in the order in which they are received. For this one, however, we have two photos which deserve a special mention, and will go before the rest. 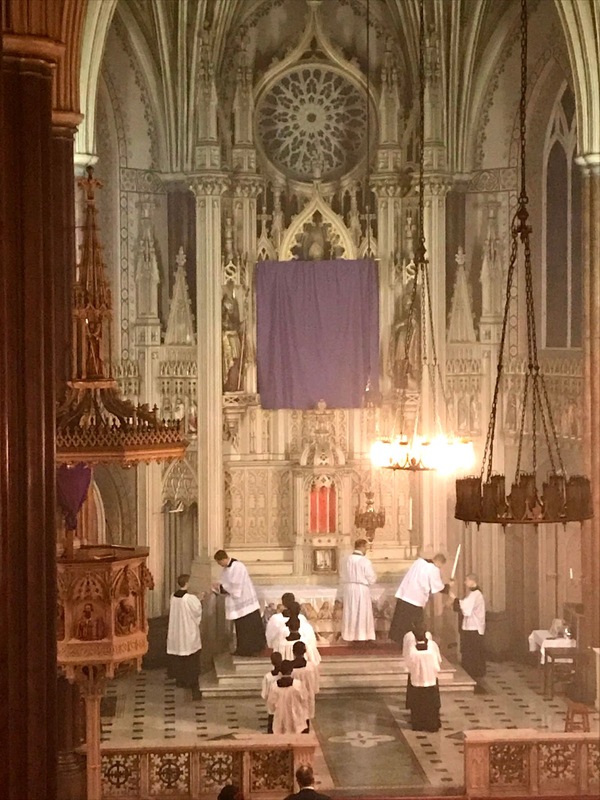 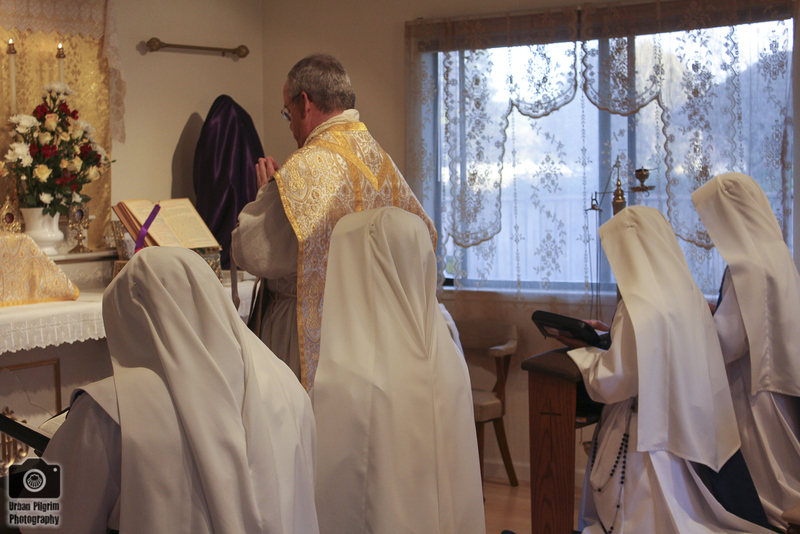 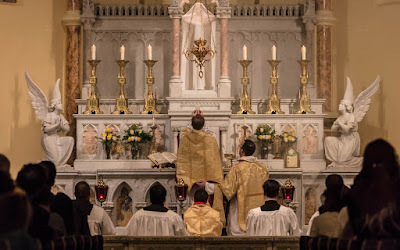 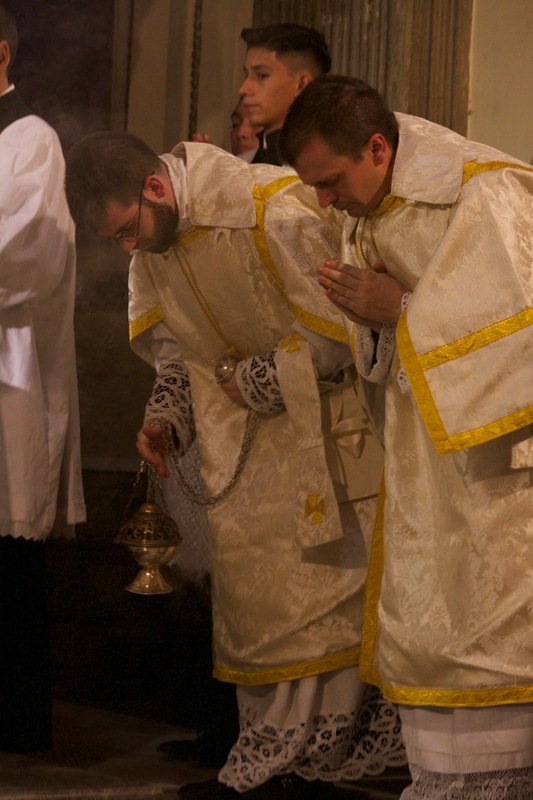 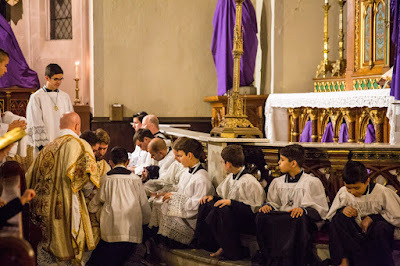 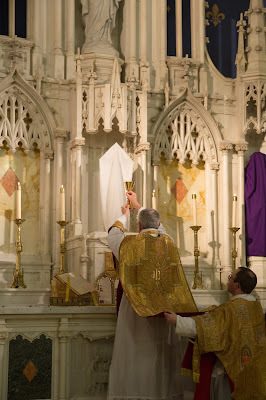 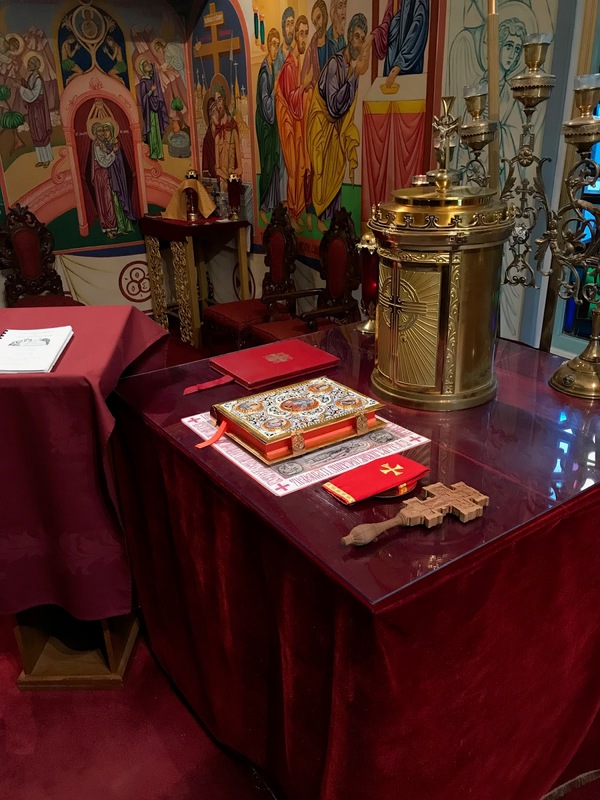 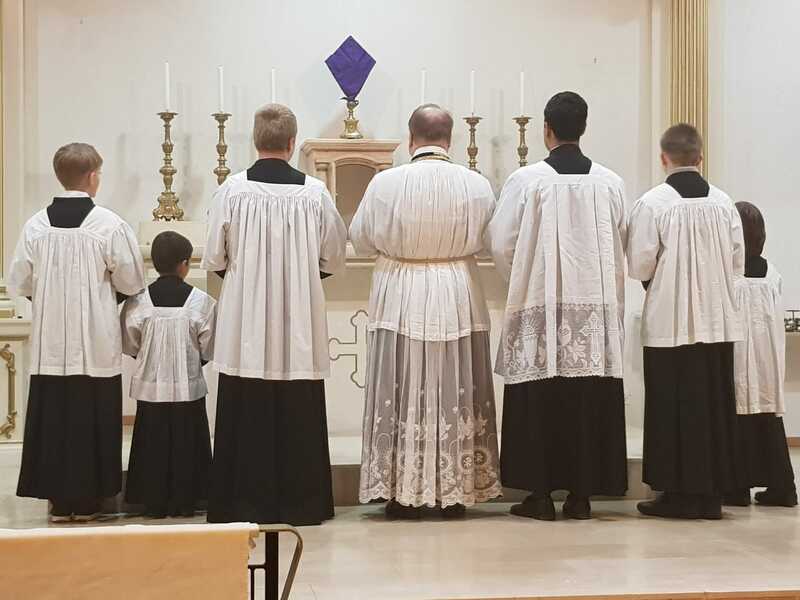 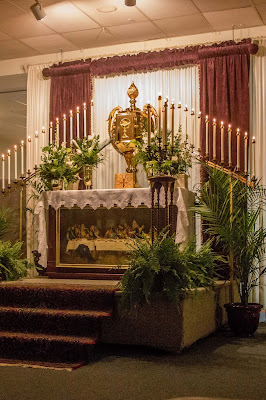 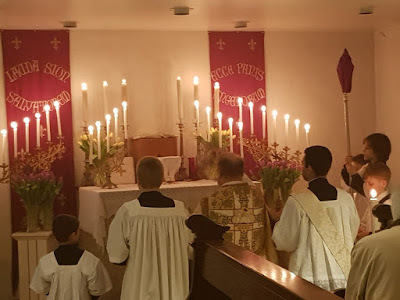 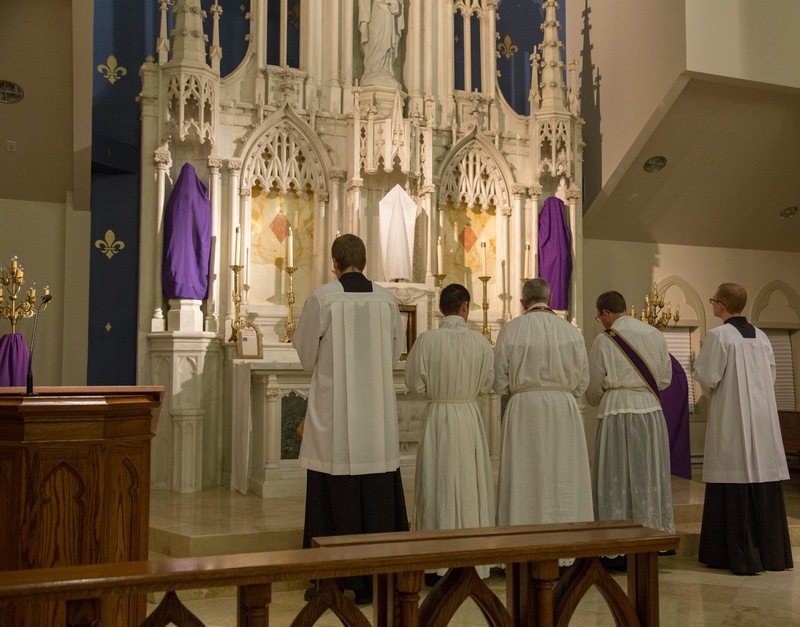 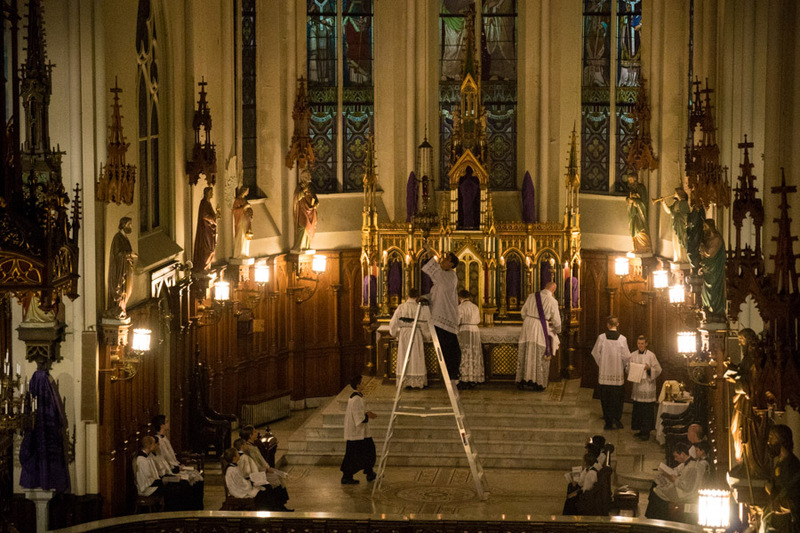 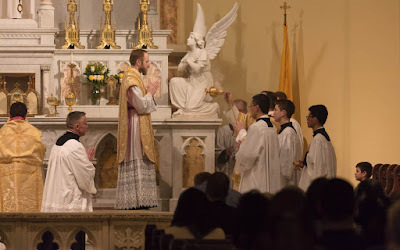 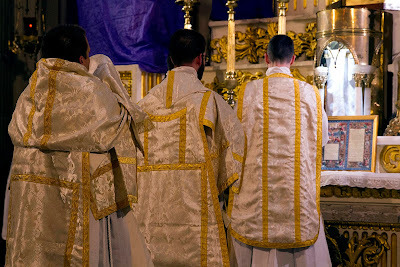 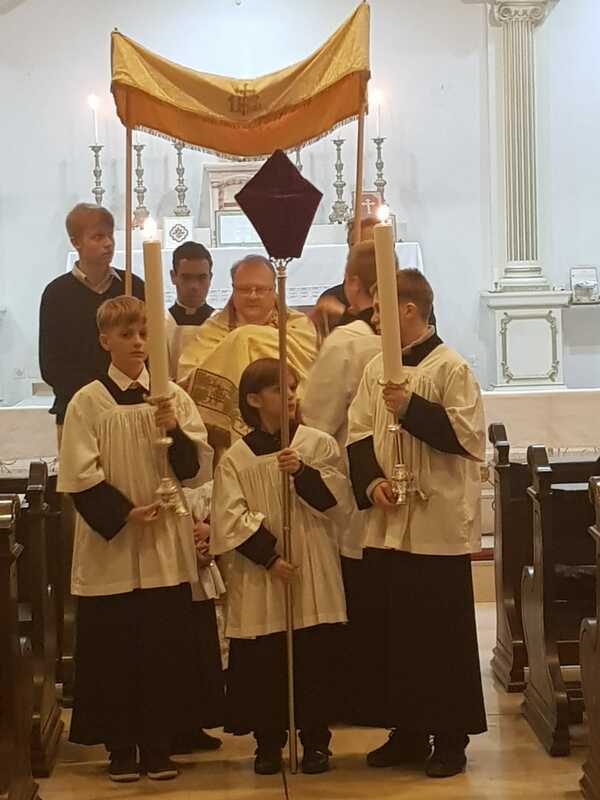 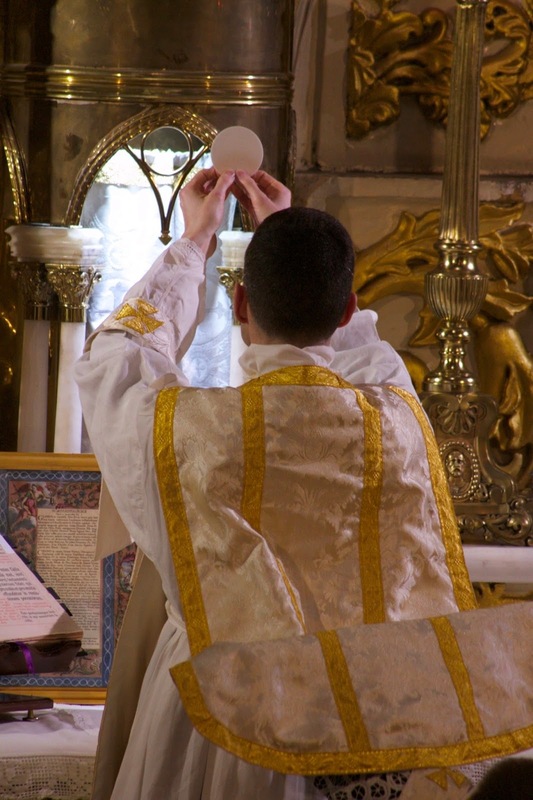 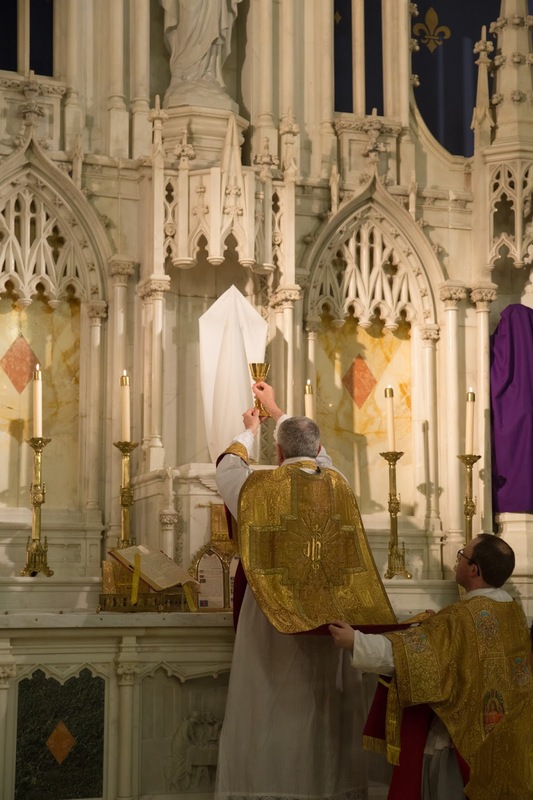 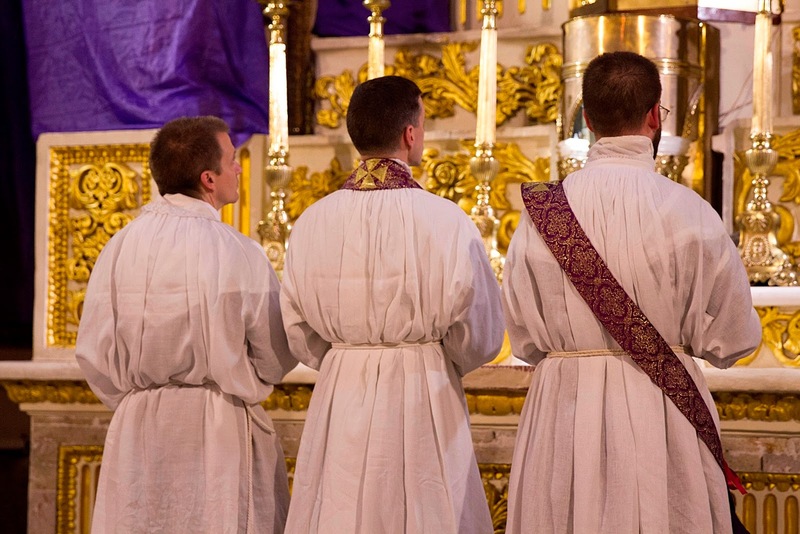 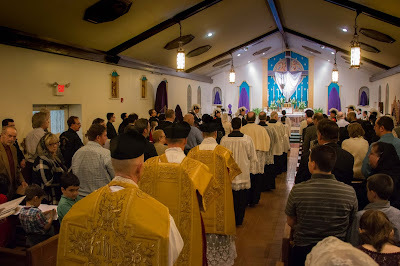 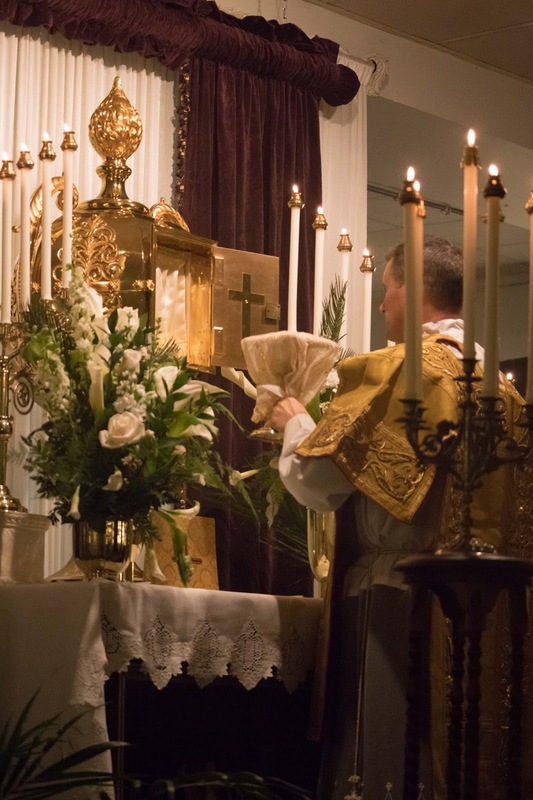 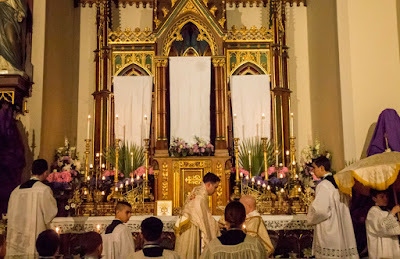 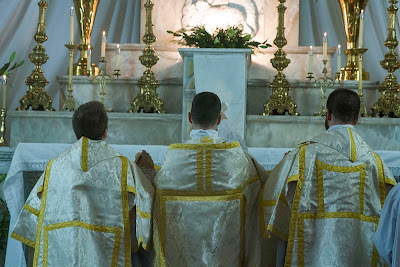 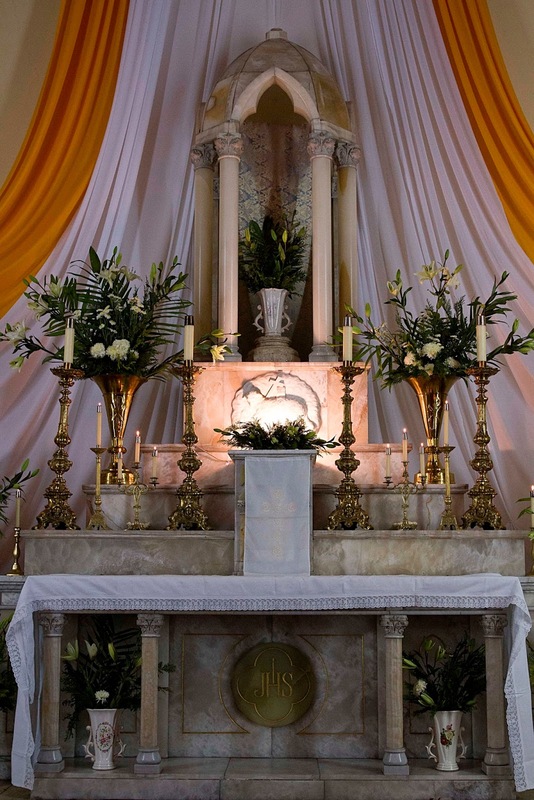 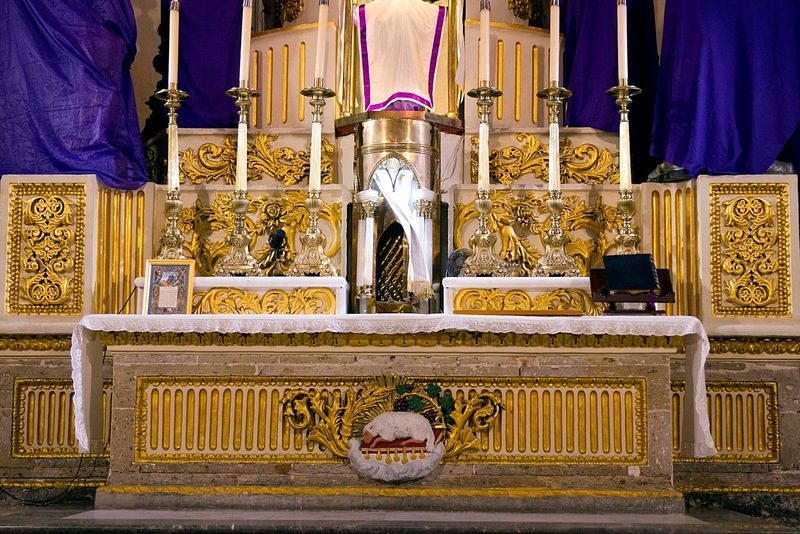 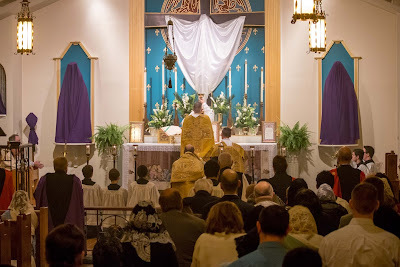 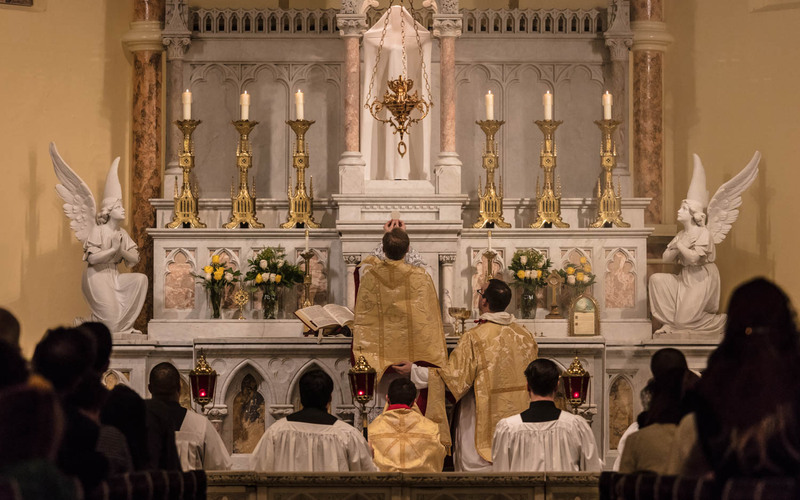 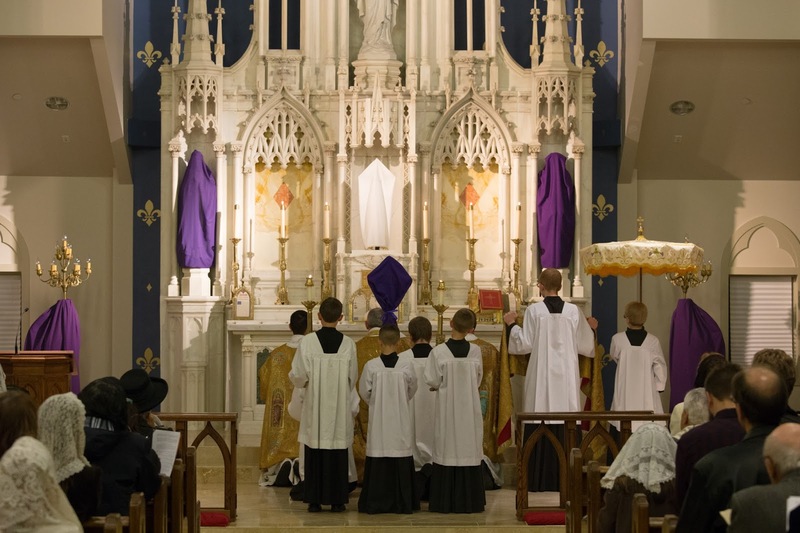 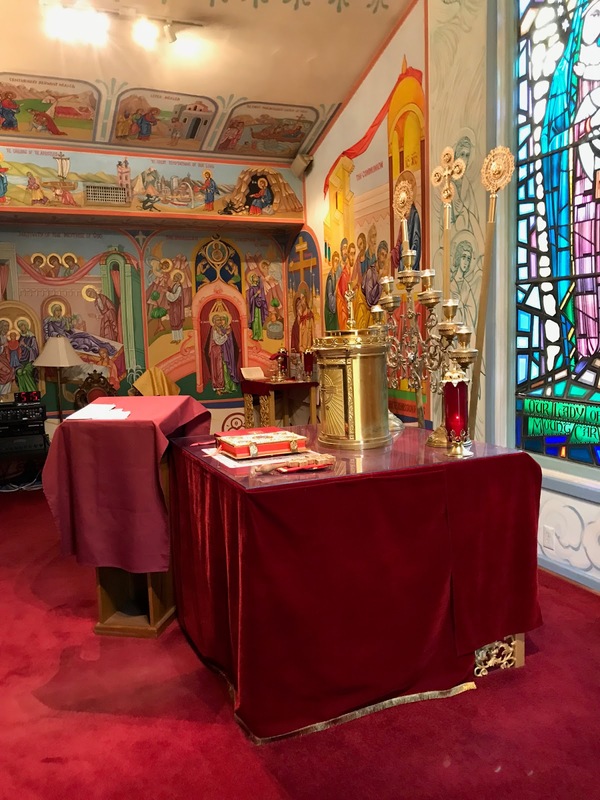 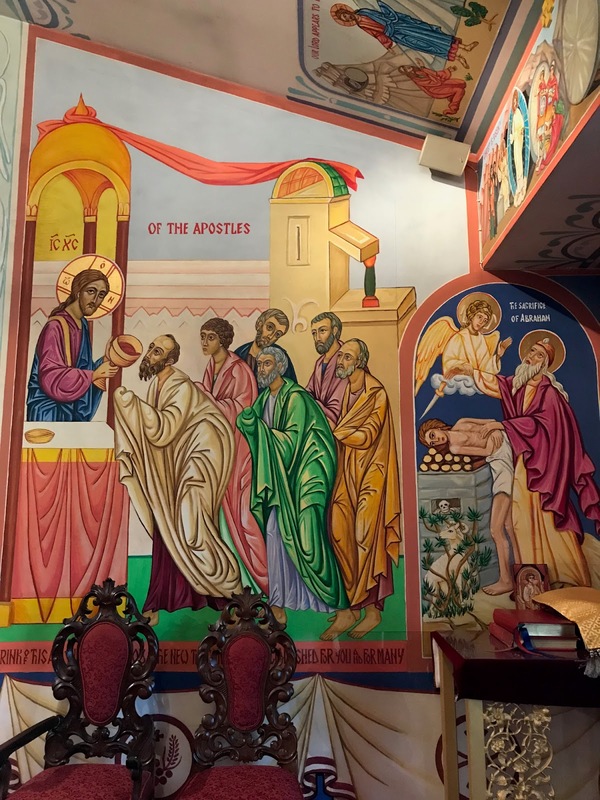 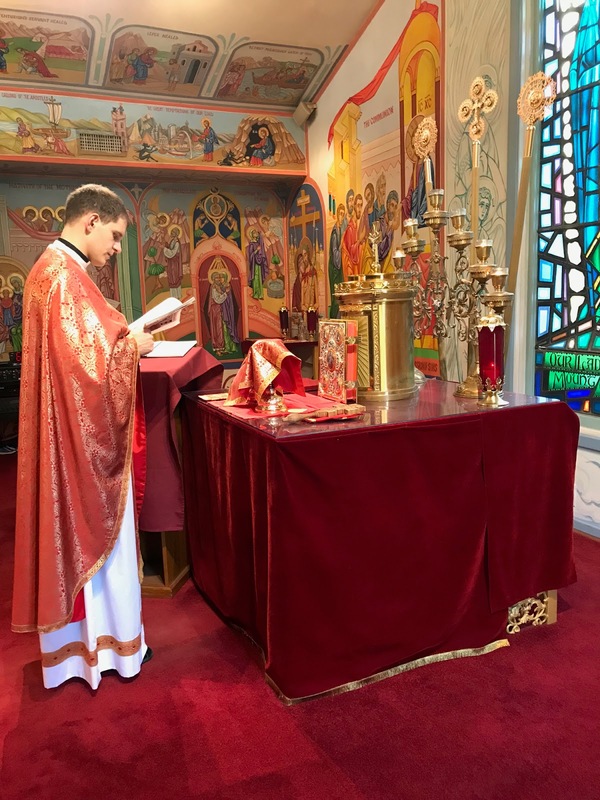 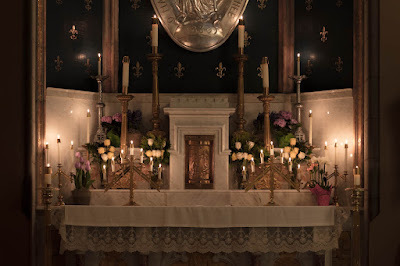 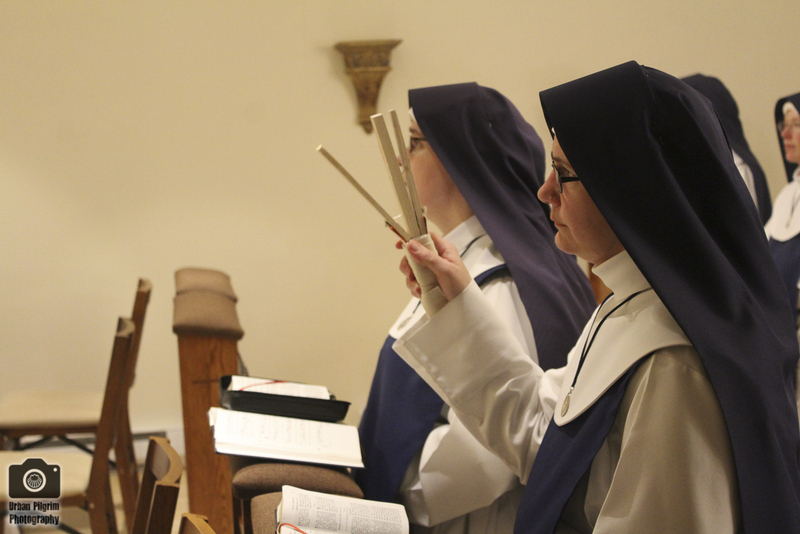 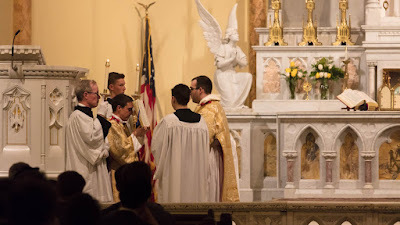 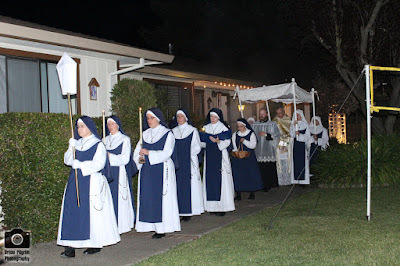 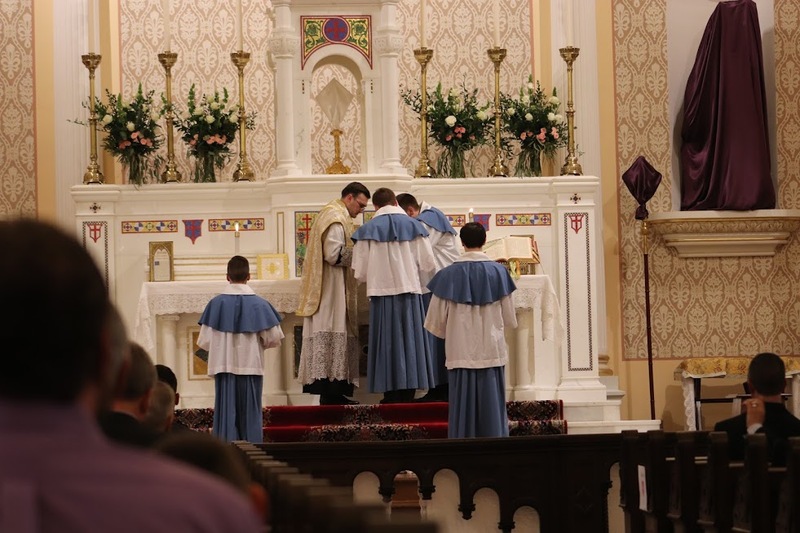 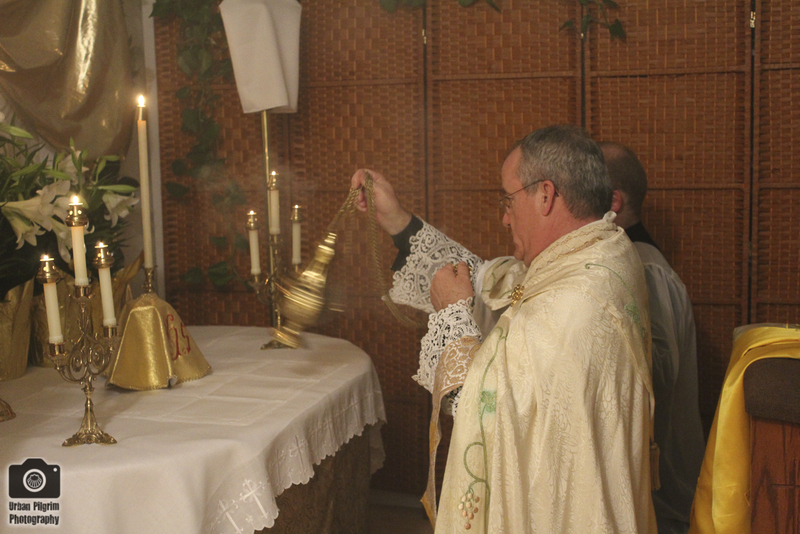 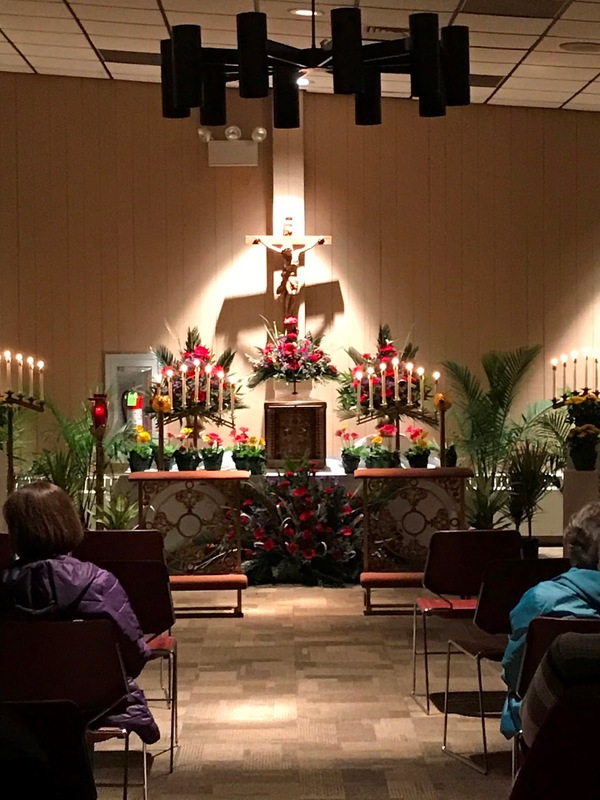 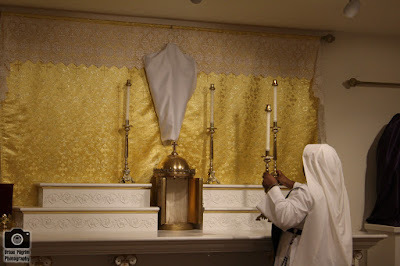 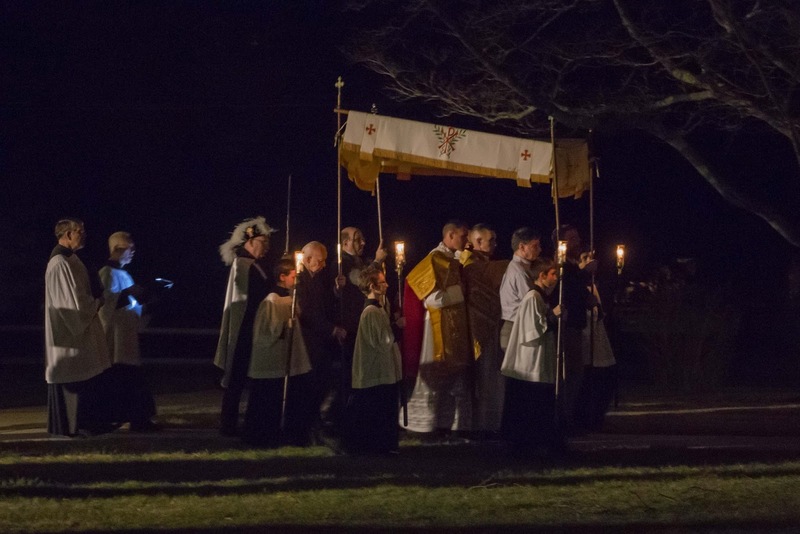 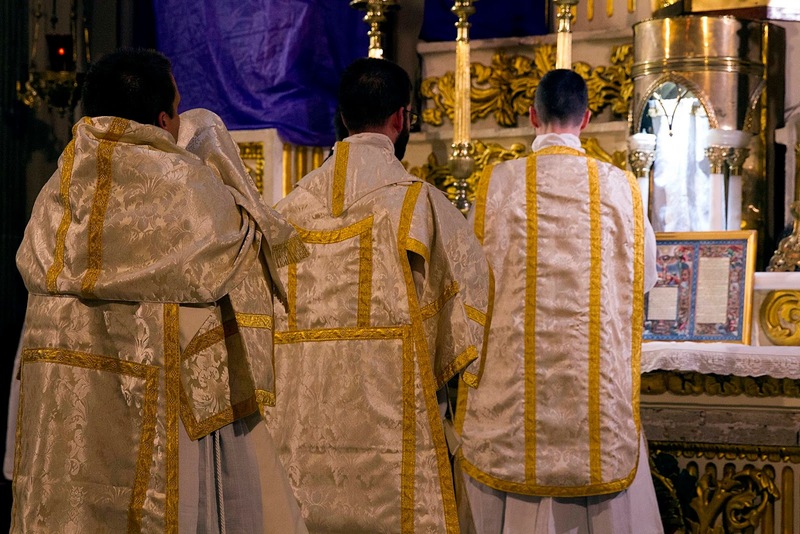 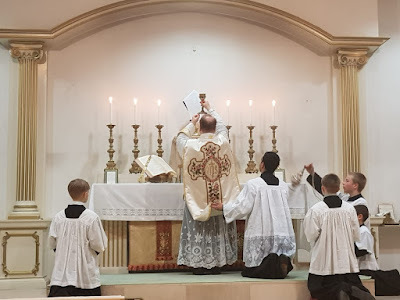 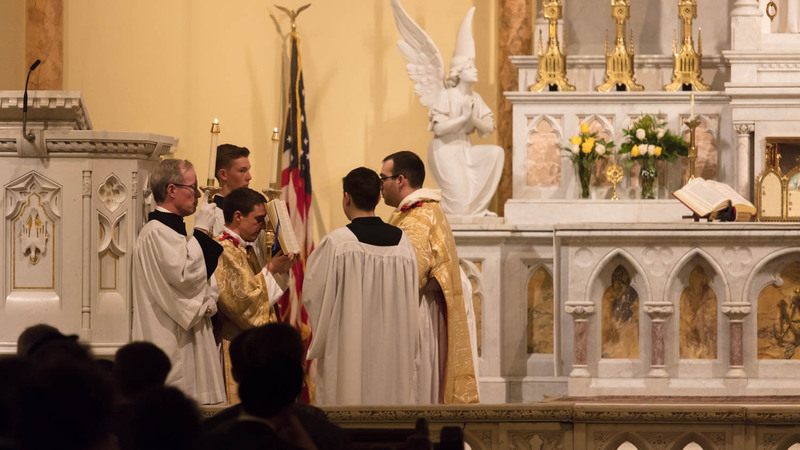 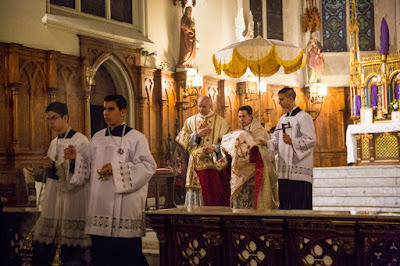 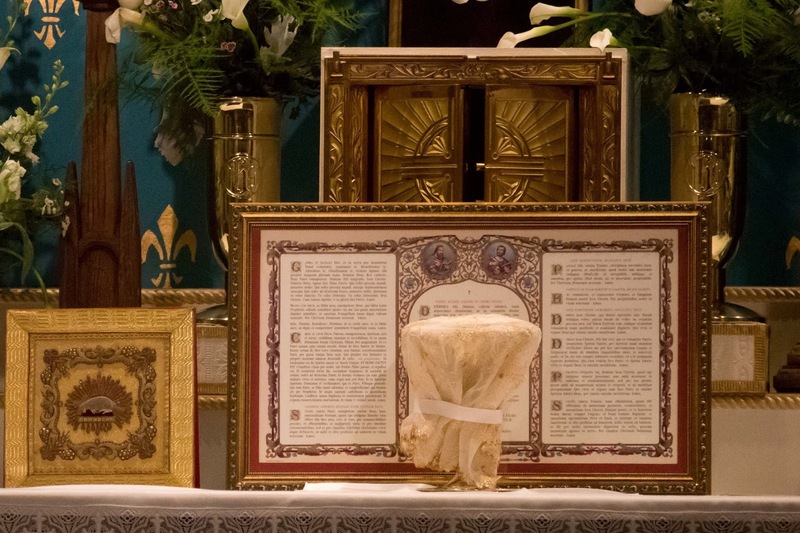 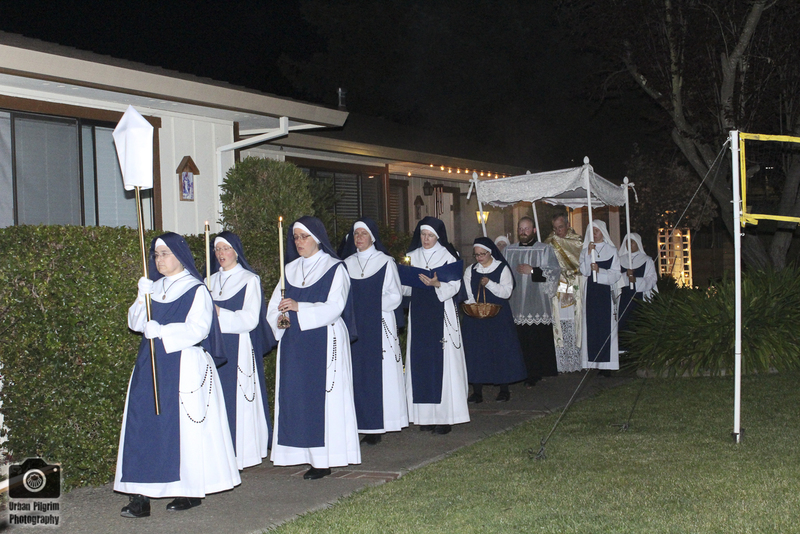 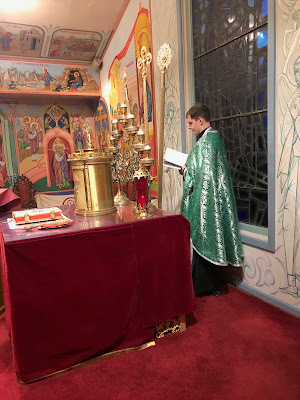 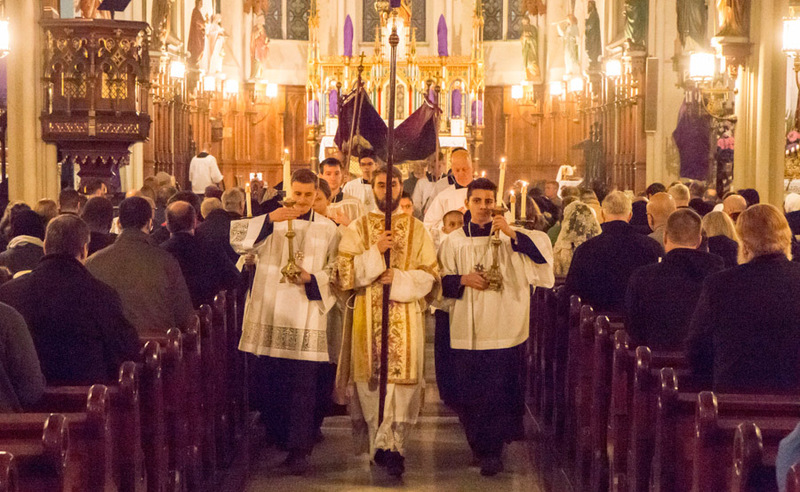 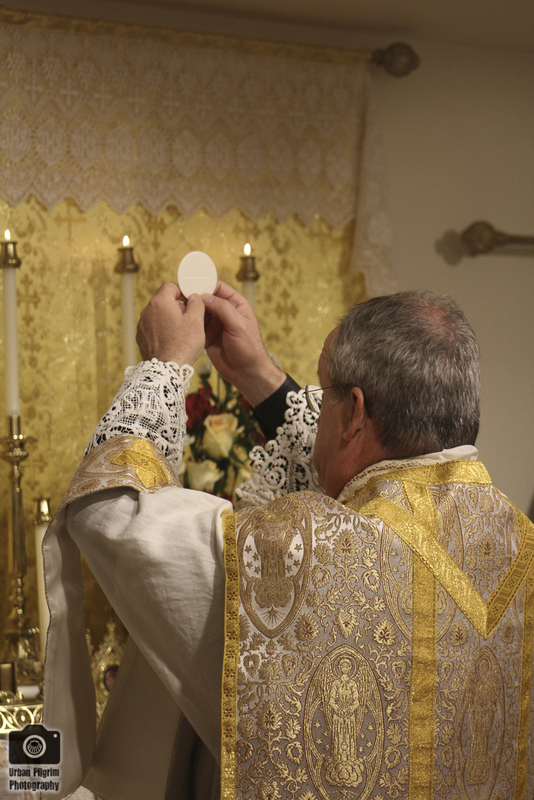 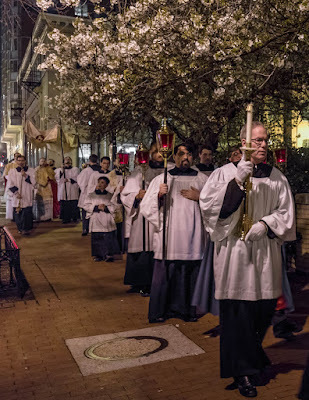 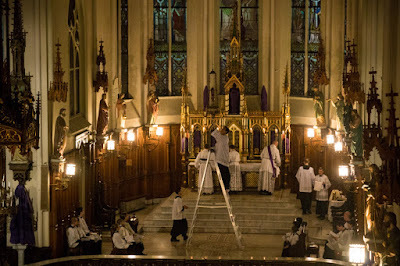 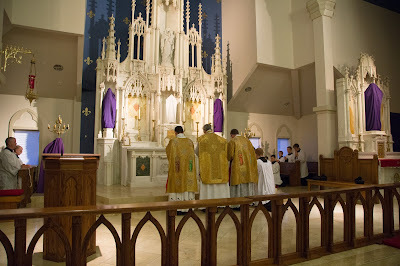 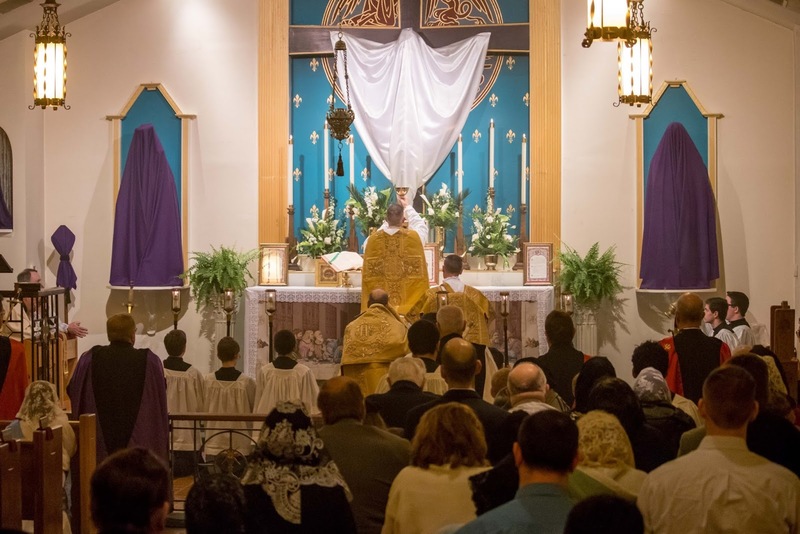 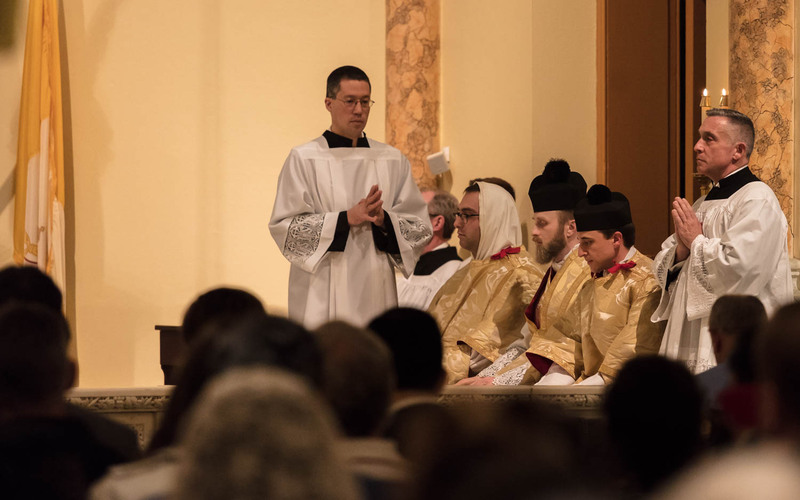 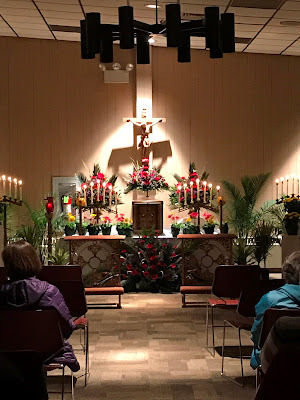 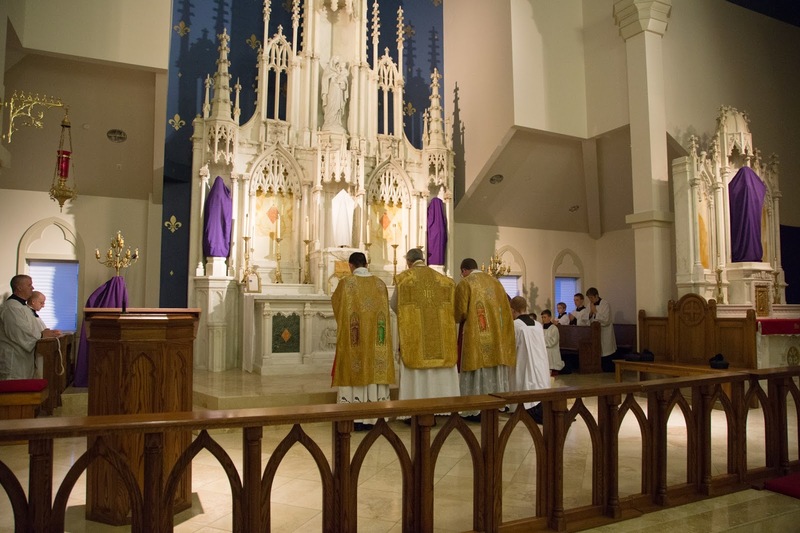 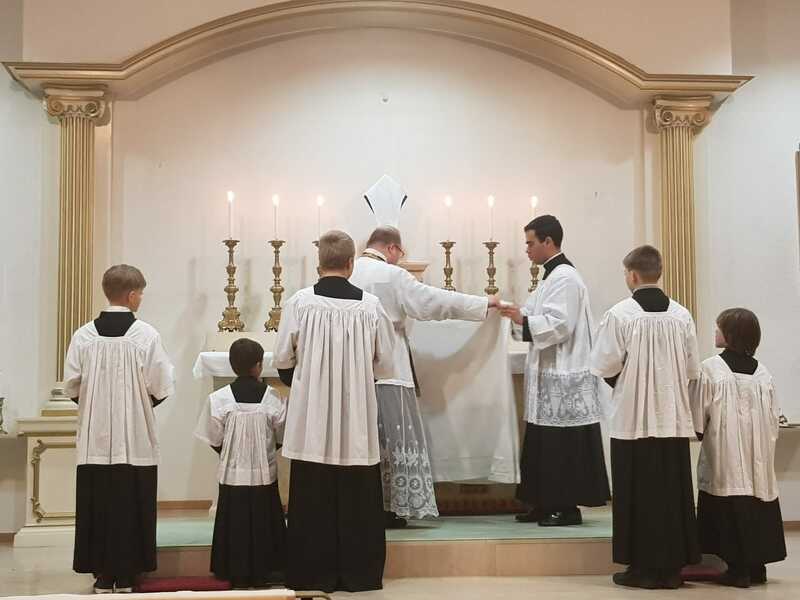 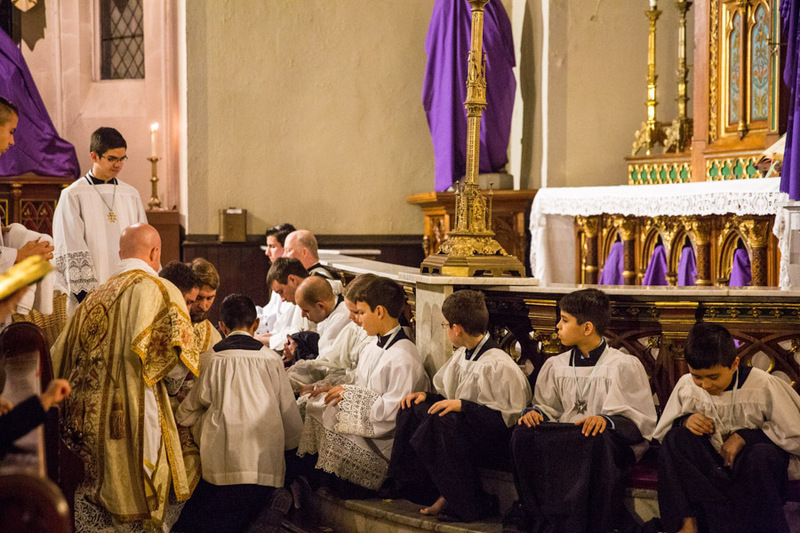 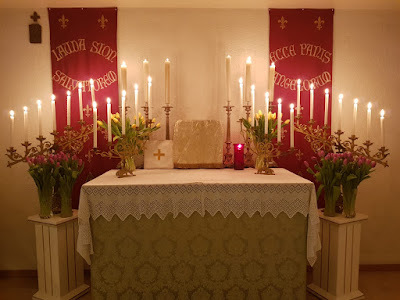 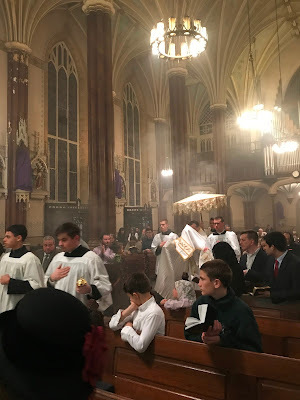 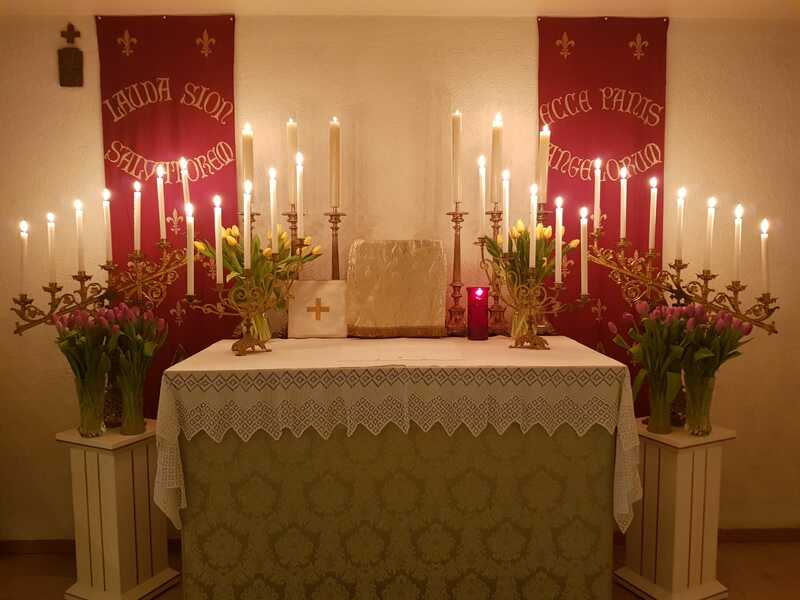 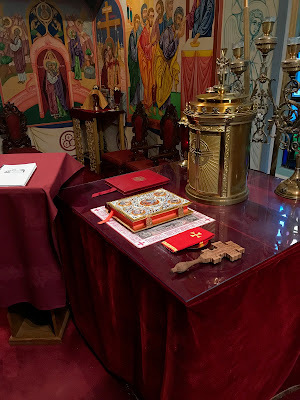 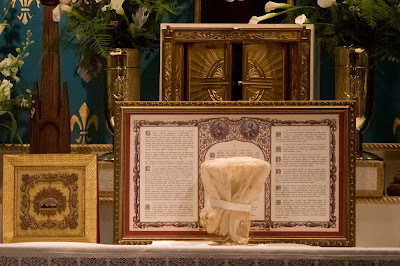 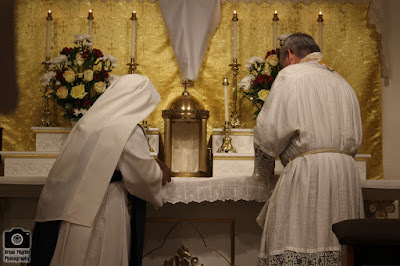 The first comes from the Institute of Christ the King’s church in Detroit, the Oratory of St Joseph, the second from the FSSP’s church in Baltimore, the National Shrine of St Alphonsus Liguori. 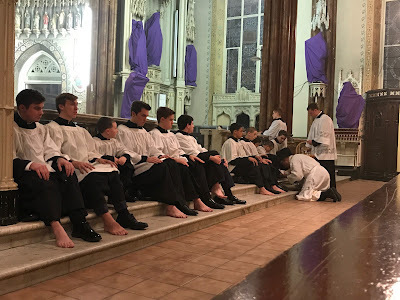 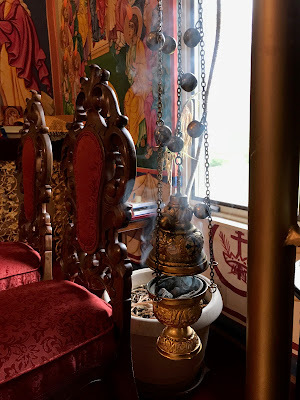 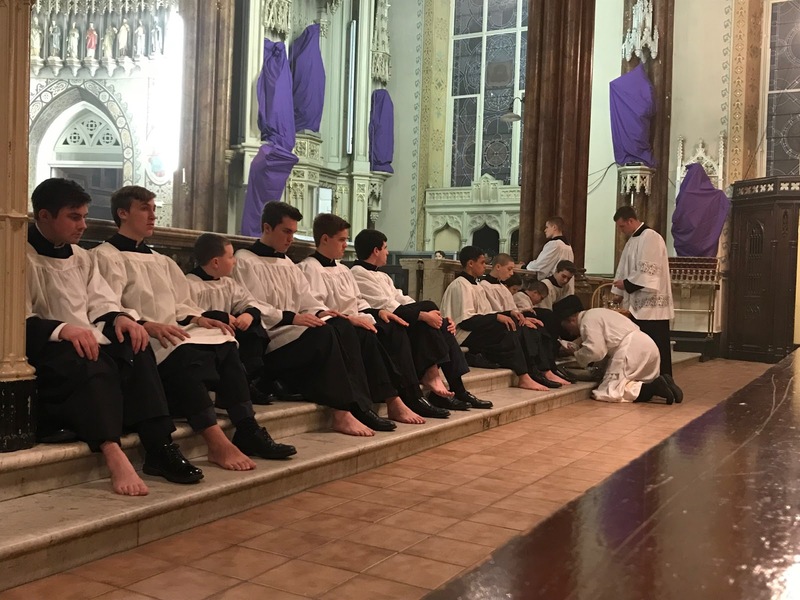 In both of these places, the washing of the feet was done with the altar servers; truly, a very fitting expression of priestly service and humility. 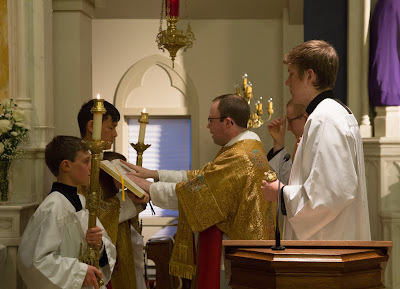 File these under two of our favorite headings “Fostering Young Vocations” and “Tradition is for the Young”! 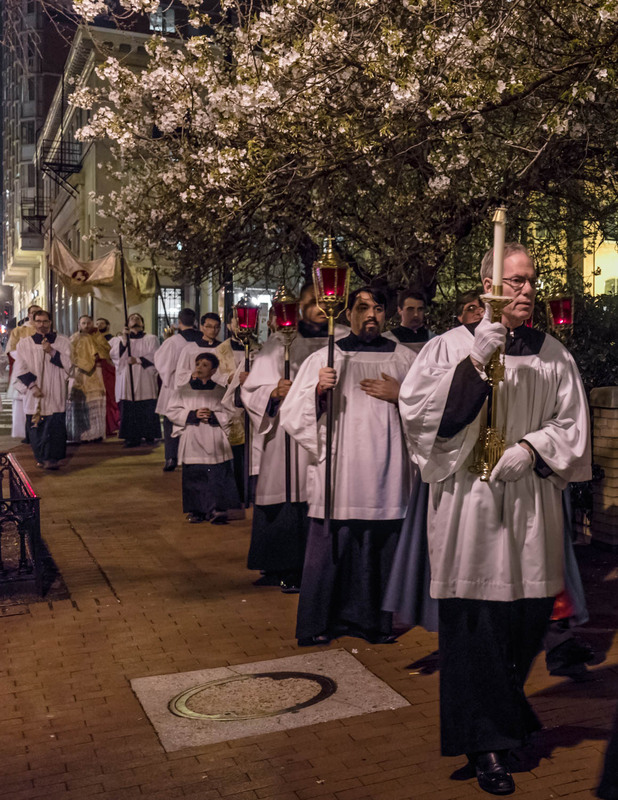 Tomorrow, we move on to Good Friday. 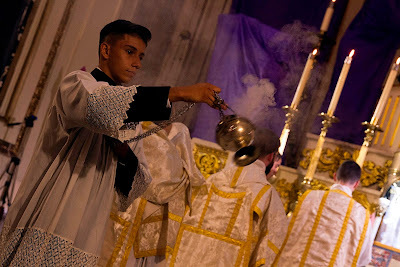 Thanks as always to all of our readers who sent these in - evangelize through beauty! 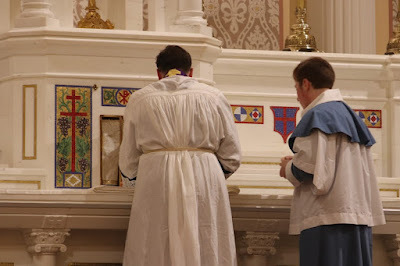 The stripping of the altar done with great thoroughness!